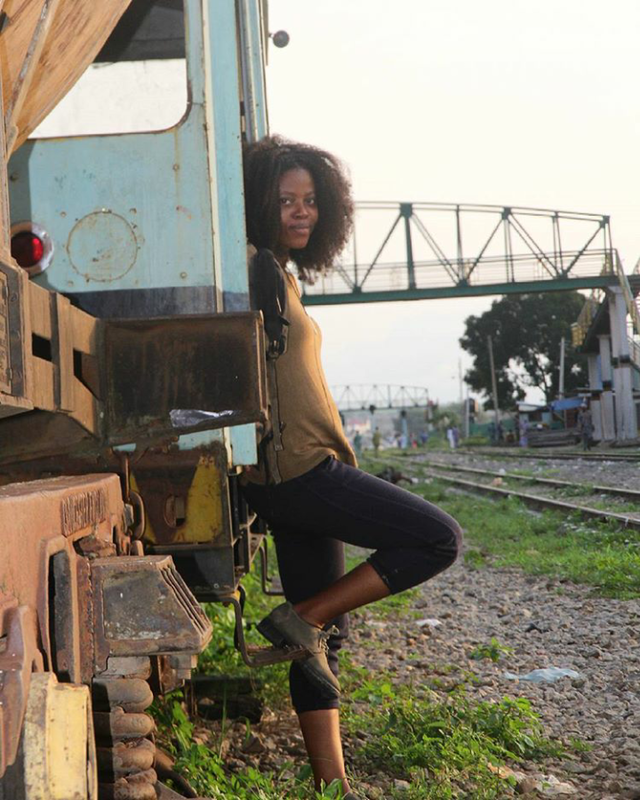 Jubilian Ngaruwa (JubiTrip), in this exclusive interview with Jumia Travel Nigeria, talks about her exciting adventure across seven cities in the country in 14 days by train. She shares some details of the trip, talks about some of her fun and challenging experiences and eventually, based on her adventure, gives some sound advice to the government and other travelers or travelers on tourism in Nigeria. Enjoy! Please tell us a little about yourself, your name and what inspired you to become a Travel Documentary Content Creator? My name is Jubilian Ngaruwa. I am from Delta state. I am a travel writer who loves the creative world, loves to travel and tell stories. In 2015, I started writing for Hangout Nigeria. I would visit places and write reviews about them; it was from doing that that I developed an interest in travel documentary content creation. I have a vlog on youtube, Jubtrip, where I share some of my content. My interest in travel, love for creativity and love for motion picture inspired and continues to inspire me to create travel content. You recently finished a train trip to 7 cities in 14 days, please tell us more about that? What inspired you to do it? And why did you decide to travel by train? On the 26th September, 2017, I decided to travel by train from Lagos to Ibadan, then to Oshogbo, Kaduna, Abuja, Port-Harcourt, Enugu and back to Lagos. I traveled by train because I always wanted to. My inspiration for this trip actually came from wanting to do something memorable for my birthday, so a train trip across 7 cities seemed like a great way to make that happen, especially because it was something I had never done before. So when I had laid down the plan, I saved up, took a leave from work and was on my way. I would actually have loved to go to more cities but I was restricted to only the cities that have train routes. Something I would also like to add relating to the planning of this trip is that, when I had made up mind that this train trip was what I wanted to do, I actually contacted some travel agents for support but they turned me down on the basis of not having a reason to support me because travel by train was not a popular choice for travelers. I didn’t let this bring me down however, and I continued with my plans determined to see it to fruition even if that meant financing it myself. Can you share some details of the trip? Did you travel alone, with someone or with a group of people? Please share how you were able to accommodate all your activities in only 14 days? I didn’t go alone, I went with a camera guy because I needed someone to help document the experience. As part of my preparation for the trip, I contacted ‘Waka With Debbie’ for some information. I also contacted a geographer, who helped me draw a map with the cities and train routes that I would need. The geographer was really helpful, I can say it was her effort that practically made the trip possible because everything she put in the map was very accurate, even down to the time of arrival of the trains at the station. Additionally, on my own, I made some inquiries from the railway corporation in Lagos on the train movement (which included the time of arrival at the station amongst other things) for Lagos and outside Lagos. I also asked for confirmation on the states in the country that had train stations and routes. On the trip, I spent a day exploring each city before moving on to the next that was how I was able to accommodate the activities I planned to explore on the trip. Still on your train trip, what were some of the things you did or activities you enjoyed at those cities? Where did you visit in those cities and why? I started my trip in Lagos and in Lagos I first visited the Kalakuta Museum and then the Nigerian Railway Corporation Museum at Ebutte Metta to officially launch the trip with about 13 people, including myself and the camera man. From Lagos Iddo, I took a train to Ibadan. 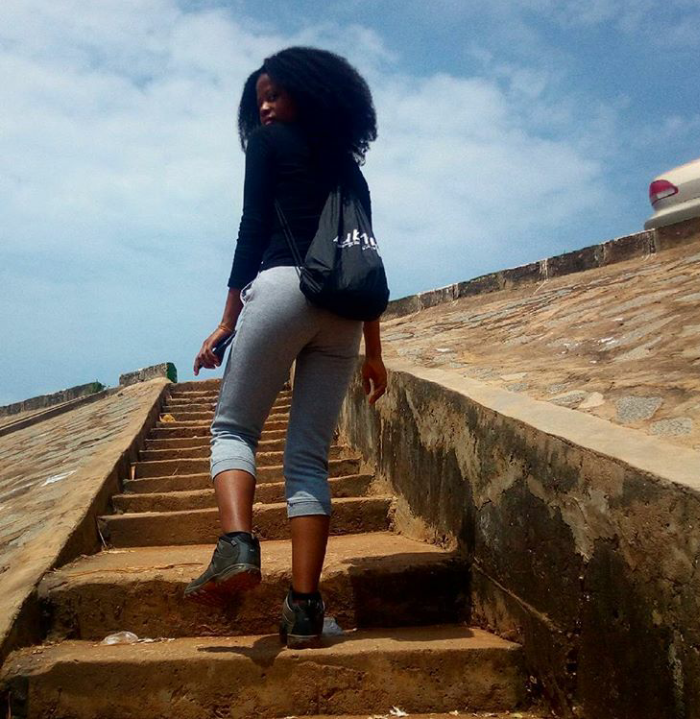 In Ibadan, I visited the Agodi Gardens and then the Ibadan zoo. But I must that I was very impressed with the Ibadan zoo, it was very organized, the animals were healthy, in good condition and the place was well maintained. In fact, I was so impressed with the state of things that I wondered if it was privately owned. After Ibadan I went, by bus, to Oshogbo because there is no train from Ibadan to Oshogbo. At Oshogbo, I visited the Erin Ijesha waterfall and the Osun-Oshogbo Sacred Groove. I stayed at a hotel in Oshogbo while I was there. Typically, if I didn’t have a friend in the city to help with accommodation, I would stay in a hotel. After Oshogbo, the next city I was to go to was Kaduna. The journey from Oshogbo to Kaduna was a very long one. First, I waited at the train station for the train’s arrival for almost 26hours. I actually slept there waiting for the train. The reason given for the delay was that the train got damaged on the road. Apparently, this delay is nothing new as the train is already known for getting damaged along the way. I remember when I told an attendant at the station that I was going to Kaduna from Oshogbo (I was asking for the expected time of arrival), the attendant laughed and actually told me that if I got there in 6 days I should be grateful to God. True to the words of this attendant, I spent 5 days on my way to Kaduna because the train kept stopping. Only one train head was carrying 16 coaches, it was no wonder that aside being slow the train kept having issues. Then about the trains, before I forget, at first when I paid for tickets for myself and the camera man, I paid for the second class coach because I wanted to experience how it was like for the sake of adventure. However, when the train finally arrived and I entered into the coach and saw how it was, I immediately went to the attendant to get an upgrade. I just thank God I was able to get one. The second class coach was worse than a pig sty and had a terrible stench. I even tried to see if I could find even if it was just one comfortable spot for me to lay my head but there was none. The place was so horrible that no human being should have to stay there for a second talk less of 5 days; in fact some of the passengers who couldn’t bear the stench of the coach would sit atop the train while in motion, which was very dangerous. I just really thought it was terrible because the second class ticket sold for N1,700 and even though it might not be so much, it’s a lot of money for those who pay for the ticket to cough up. They shouldn’t be subjected to such inhumane conditions. I and my camera man had to sleep in the bus for the 5 day period of the trip. In some of the villages we stopped, the villagers were nice. They actually provided us with water and places to bathe. It was from this experience that I learnt how patient and kind Nigerians can be. I kept expecting the passengers to complain about the train’s constant faults or about having to sleep in the bush but instead they remained quiet. In fact, at a point when the train developed yet another fault and broke down, some of passengers volunteered to help repair the train. I guess they were already used to it. But I wasn’t. I kept worrying about my safety and thinking about what would happen if thieves or some villagers decided to attack while we were in the bus. I and my camera guy would be an easy target for them because of the camera we carried along. It was all just the grace of God. We finally arrived at Kaduna on the 5th day and while in Kaduna, I visited the NOK village to explore the NOK museum. I also spoke to some elders to learn about their culture and traditions. I stayed with a friend while in Kaduna; I didn’t have time to do more than visit the NOK village and taste their locally tapped palm wine mainly because the NOK village was quite a distance, and there a lot to explore there that didn’t give me time to do much else. In case I didn’t already mention it, one major mission for me on this trip was to taste the locally tapped palm wine of all the cities I visited and then determine which had the best (I love palm wine that much). Of all the locally tapped palm wines I tasted, I must say that Oshogbo had the best. The details of my selection, including the criteria I used for the selection and my eventual arrival at Oshogbo being the city with the best locally tapped palm wine will be on my vlog soon. My next stop was Abuja. From Kaduna I took a train to Abuja from the Rigasa station. The Rigasa station was very different from that of Oshogbo. The trains were in great condition, the security was good and the scenario was just different. Their timing is great and they really keep to time – from the time of departure to the time of arrival. I think the Rigasa station is one the best in Nigeria, if not the best. The trains are so good that the second class coach of their train is equivalent to the first class coach of the train at the Oshogbo station; also one head carries 5 coaches so it’s really fast. I paid for the ticket of the second class coach and was on my way to Abuja with my camera guy. The second class coach cost N1050 while the first class coach cost N1500 (N2000 cheaper than that of the Oshogbo station, which cost N3500). At Abuja, I visited the Art market and then, of course, tasted their locally tapped palm wine at a local bar. I wanted to also visit Zuma rock but I didn’t have the time to do so. I stayed with a friend for the duration and then by the next day, I was on a bus ride to Port Harcourt. There was no train route from Abuja to Port Harcourt so I had to go by bus. At Port-Harcourt, because there aren’t much tourist destinations there, I just visited their local bar for locally tapped palm wine and then later in the evening, I went to watch a movie at the Silverbird Cinema and after that went to a Karaoke bar. The following day, I had to go by bus to Enugu though Port-Harcourt had a train station with a train route to Enugu. The reason is that the trains at the Port-Harcourt station are non-functional and have been that way for about three months because, according to the officials, the train tracks are bad and to prevent the trains for stopping or developing faults along the way, the train don’t move. So, I traveled by bus to Enugu. While in Enugu, I visit Ngwo to experience the local environment and of course taste the locally tapped palm wine. I also tasted their ‘abacha’ delicacy and I must say that compared to the ones I’ve tasted in Lagos, this one was much better and more delicious. Much like in Abuja, I wanted to visit the Ngwo pine forest while here, but because of time I couldn’t. I stayed in a hotel for the duration of my visit and by the next day I was on a bus ride from Enugu to Lagos. This ended by 14-day trip to 7 cities. What were some of the safety precautions you took during the trip even amidst the activity, to keep yourself and belongings safe? To be honest, I didn’t take much safety precautions on the trip. But all I really did was to ensure that I took care of my things well and kept them close, especially the camera because I rented it for the trip. Also, it helped that I traveled with a guy and that the guy could be rugged when the situation demanded. I remember when we were at Oshogbo and the bus we took while shuttling between destinations broke down. The conductor wanted to take advantage of the situation and refuse to refund our money. The camera guy had to challenge the conductor before our money was eventually refunded. I probably wouldn’t have been able to handle that had I been on my own, and would have ended up losing the money. Regarding the cost of the trip, how were you able to finance the trip? Were you able to save cost during the trip, if yes, what were some of the cost saving techniques you applied? Financially, I got support from Nkechi Uko from Akwaaba and from Trip Berry on the condition that I move with the brand and basically just showcase their brands as often as I can in anyway that I can. The support from the two of them covered the media cost, some parts of the feeding and transportation cost and the cost of hotels we stayed in. I also used some of the money I saved up for the trip to cover the rest of the expenses like the cost of entering into some of the tourist sites, the cost of taking pictures or making videos at the sites, the cost of getting a tour guide and the rest of the feeding and transportation costs. Altogether to finance trip I ended up spending about N270,000; without the cost of media coverage I would maybe have spent about N140,000. Moving on to the difficulties faced, what were some of the difficulties you experienced during the trip? Can you share some of these ‘not-so-fun’ experiences and what you learned from them? Including some difficulties that I already mentioned, some others were that my feet got really swollen at a point. This was during the 5-day trip from Oshogbo to Kaduna. The passengers were nice, some helped with leaves to apply to reduce the swelling and I was advised to removed the military boots I had one and change to slippers. Their help alleviated some of my discomfort till the swelling eventually went down. Also, since I came back I have been on antibiotics treatment because I started having headaches, purging and just generally not feeling like myself. One major thing I learnt from the experience is that you can’t just make videos in trains, you have ask the hosts or hostesses for permission. I remember when I tried recording on the train, I think this was on the way to Ibadan from Lagos, I was told to stop immediately. I later learned that I would have been able to record if I had asked before-hand. Again, I also learnt that Nigerians are very nice people and can be very patient in situations they don’t have absolute control over. The trip was challenging and adventurous, and yes I had fun at the tourist attractions but the trip itself wasn’t really fun – it was more adventurous than fun. At this point, it’s safe to say that to some extent you’ve been around the country, so in terms of travel and tourism, what would you say are some of the gaps the government needs to fill? The tourist attractions need maintenance. I gives kudos to the Ibadan zoo, they maintain it very well, so well that I first doubted if it was actually managed by the government. I thought it was probably managed privately. Most of the tourist sites in Nigeria are not well maintained and they need proper attention. Also, the train stations and trains need repairs and proper maintenance, they need proper check up from time to time. Some of the train tracks are damaged, like that of Port Harcourt, and they have been that way for quite a while, they need to be repaired and properly maintained. Most of the tourist attractions are good, but they just need maintenance. Based on your experience, do you have any advice for travelers, travel bloggers or any person that might be aspiring to travel within the country like you have just done? 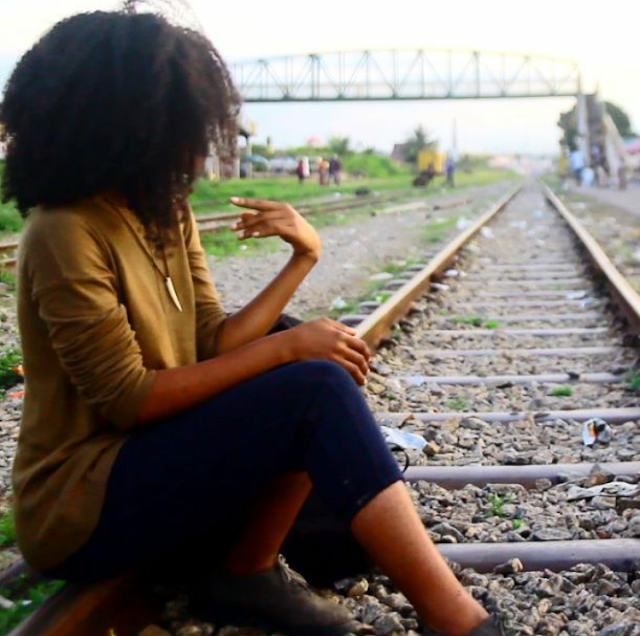 My advice to them is to go on the trip, experience it and tell the world how it is because I think that more people need to go out and experience how train travel is in Nigeria. If more people travel by trains then awareness can be raised on the terrible conditions, and maybe something will be done about it. I think more people should organize tours for train travel and I am glad that some tour operators have started to do so, but more tour operators should follow suit. I don’t want to be only one to tell this story. I believe the courageous and adventurous ones will want to experience it and they can then come back to tell people about it and thus raise awareness. Finally, is it okay for us to anticipate more exciting travel adventures like this from you? If yes, can you please give us hint of what the next one might be? Yes you can. For now, I am focusing on domestic adventures around Nigeria. For my next adventure, I want to explore ghetto tourism in Nigeria. I want to know more about the slums of Nigeria, explore it and basically just go into that life and open it up for people to see.